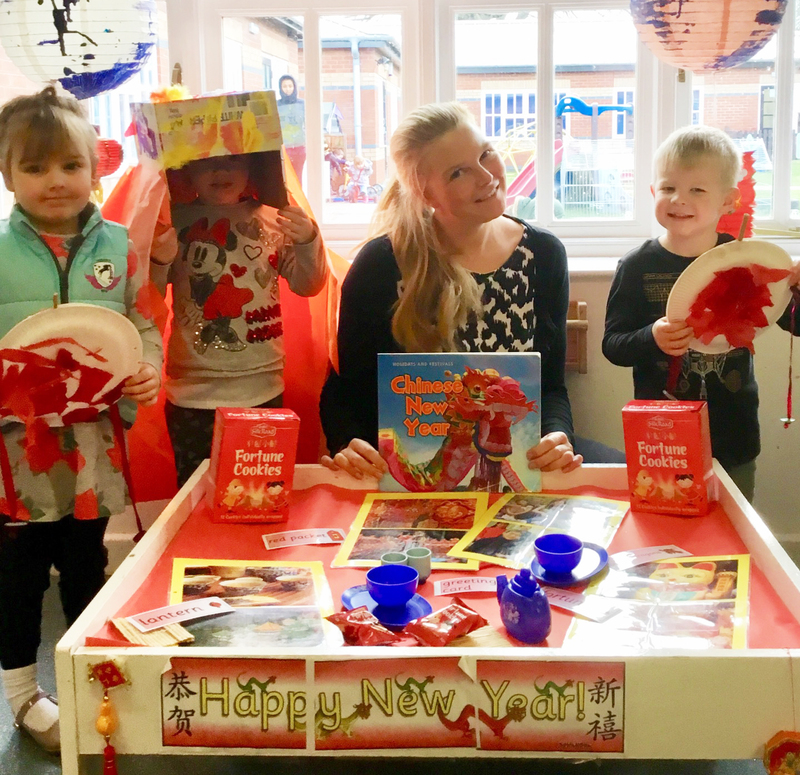 Children at Elmscot Day Nursery and Nursery School, Nantwich have celebrated Chinese New Year this week – with a whole host of amazing activities! All of the children throughout the week, aged from 3 months to 5 years old all joined in a variety of activities planned by the qualified, early years practitioners at the setting. The room with the youngest children – known as the Willow Room – set up a creative activity where the children were able to make some beautiful Chinese lanterns. They also made a Chinese dragon, which they then played and danced with, just like they do in the traditional parades. To further enhance their sensory experiences, the children were given the opportunity to explore all things red, with it being the lucky colour of China. When the children reach between two and three years old at Elmscot Day Nursery (Nantwich), they move on to the Mulberry Room. For this room’s Chinese New Year celebrations, the children enjoyed a Chinese banquet cooked using fresh ingredients by the nursery’s in-house catering staff. Traditional utensils and chopsticks were used by the children during the banquet, which were also introduced into the imaginative play area. This allowed the children to explore new tools and equipment then later act out their new experiences within their play. The children even got the chance to try some fortune cookies. Before starting full-time education, the children aged between three and four years join the pre-school located within the nursery, known as the Oak Room. The Early Years Teacher led the week’s activities and the children learnt all about Chinese culture. They were able to act out Chinese dragon dances and practice recreating Chinese symbols through mark making. The whole room was decorated with delicate paper lanterns that the children painted during the group art activity. Learning about food and cooking from scratch is something the pre-school children love to do. After crafting their own spring rolls with the support of the nursery staff, the children then got to sample their handy work during their delicious Chinese banquet lunch. To find out more about Elmscot Day Nursery and Nursery School (Nantwich) and the incredible facilities or to register for a place, please contact the Nursery Manager directly at 01270 629 005 or email [email protected].